Why are you like that, Hammerhead? You are so strange and interesting looking. 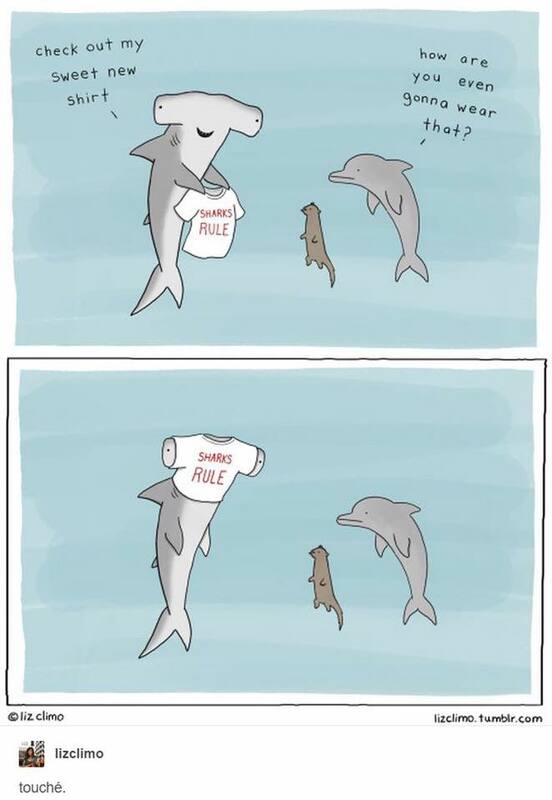 Comic from the wonderful Liz Climo, who you should definitely check out (lizclimo.tumblr.com) or on facebook. Love love love her sea creature comics! I can’t definitively answer this question. People can speculate over why things are, and we can use observation to find the pros and cons in certain natural designs, but I don’t know why hammerheads are hammerheads. However, I can give some interesting ideas and facts about them, since they have been gracing Southern California headlines more frequently with our early onset El Nino. Hammerheads prefer warm water for their hunting and swimming, and that’s what we got right now here in Los Angeles. Check it. Hammerheads, like many large sharks, are apex predators, sometimes called consummate predators. (Consummate means, of the highest degree, supremely skilled, or perfect). They get their name from their obvious defining feature: Their mallet shaped heads. Hammerheads’ eyes are widely separated on either end of their mallets, which gives them increased visual capacity. Like a deer in the woods, their eyes face different direction; unlike human or dog eyes, which look in the same direction. More so, because their heads are so large, it increases the surface area of the ampullae of Lorenzini. The what? Ampullae of Lorenzini. AMPULLAE. of LORENZINI. So epic sounding, but what the heck is it? Ampullae of Lorenzini are electroreceptor sensory organs that are found on sharks and some large fish. It allows them to sense electric fields of animals. All animals have electric fields that are released from the movement of their muscles. So just know that when you’re flopping your foot around like a wounded fish at the beach, a shark’s Ampullae of Lorenzini pick up this movement and alert his brain: wounded animal, time to eatz. 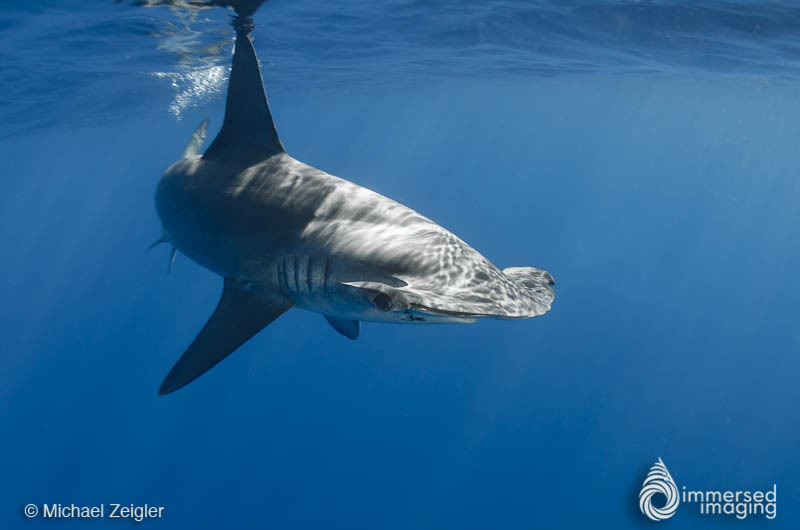 Because Hammerheads have a whole hammer of surface area on their face (more space for ampullae), they are finely tuned into the movements of fish around them, making them skilled hunters. They also have increased ability to smell, and their hammerheads allow them to swim on a horizontal plane and make sharp turns on a dime. Image again from Michael Zeigler, http://www.seainfocus.com From San Diego, Ca in 2014. Check out that smile! There are 9 species of Hammerheads, from the Great Hammerhead (20 feet! ), all the way down to the itsy bitsy Bonnethead (2.5 feet). Two species of hammerhead (the Squat-Headed and the Scalloped Hammerhead) are endangered. 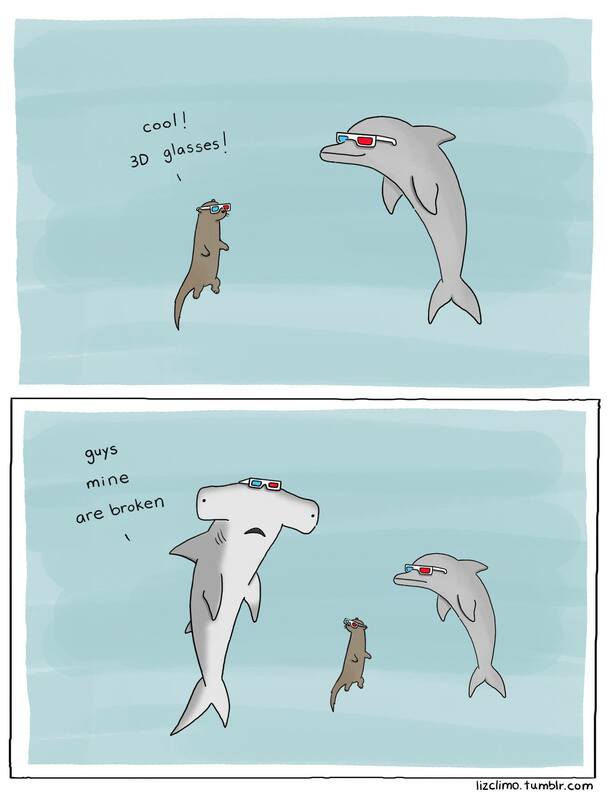 Two are considered vulnerable to extinction (the Small Eye, and the Smooth Hammerhead). Interestingly, the Bonnethead shark is the only shark that displays sexual dimporphism, meaning the male and female look different (also like humans!). Should we be extra scared of hammerheads visiting California? Like all large, wild animals, sharks have the potential to do harm to humans. If you hear of a hammerhead sighting, exercise caution in the water, or maybe wait a day or so. However, hammerheads aren’t known to be any worse for humans than, for instance, driving on the 405 freeway, so swim at your discretion. 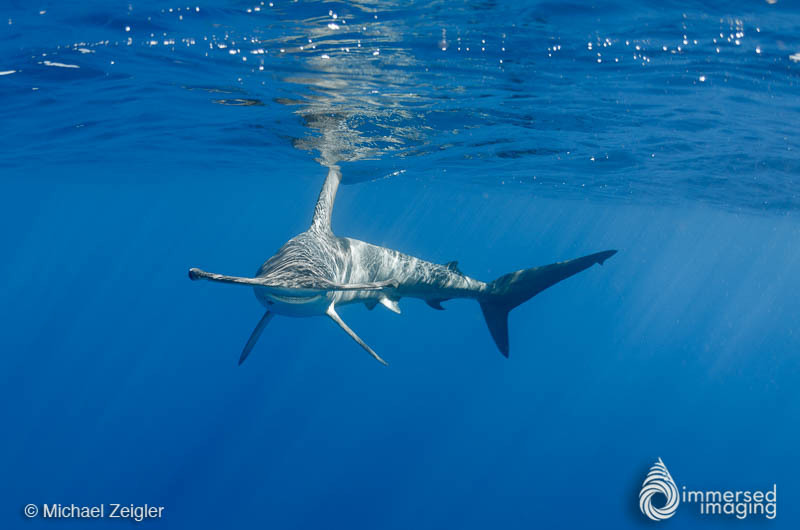 Who has seen a hammerhead while diving?